I love scarves! I wear them all the time - spring, summer, fall and winter! This large scarf is a perfect weight for all seasons. 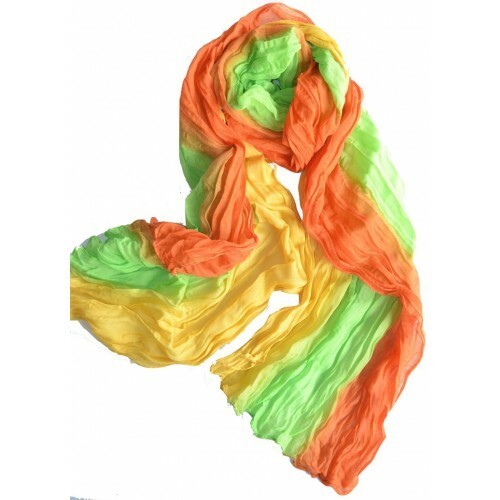 This beautiful long soft silky scarf will become one of your favorites! Add a HappySnaps Scarf Pendant to create an entirely different look! Color: Multicolored - See photo - Please keep in mind that due to lighting, your monitor's brightness, and your contrast settings, the color of the product in our photos may be slightly different than the actual item you receive. We appreciate your understanding.